While models of complicated grief vary (Rando; Worden), complicated grief reactions generally involve intensifications and exaggerations of the earlier described responses to grief that effectively impair the individual's ability to function. Complicated grief can also be evident in masked reactions— that is, the grief is masked by another problem such as substance abuse. One factor that can complicate grief is disenfranchise-ment. The term disenfranchised grief refers to a grief that results when a loss is not socially sanctioned, publicly acknowledged, or openly mourned. 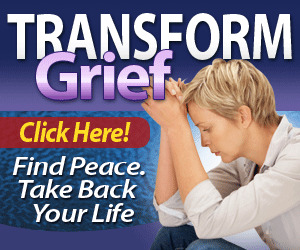 Grief may be disenfranchised because a loss is not recognized (e.g., the loss of an animal companion), a relationship is not recognized (e.g., a friend or therapist), the griever is not acknowledged (e.g., a very young child or a person with developmental disabilities), the death evokes shame or censure (e.g., an execution), or the way the person expresses grief is considered inappropriate or unacceptable. In such cases, the person has experienced a loss, but has "no right to grieve," no expectation of public acknowledgement or support (Doka, 1989, 2002).